These Bamboo Tepokushi Skewers are made from strong, sustainable bamboo perfect for creating mini kebab canapes, spearing a prawn or a meat ball for the BBQ. 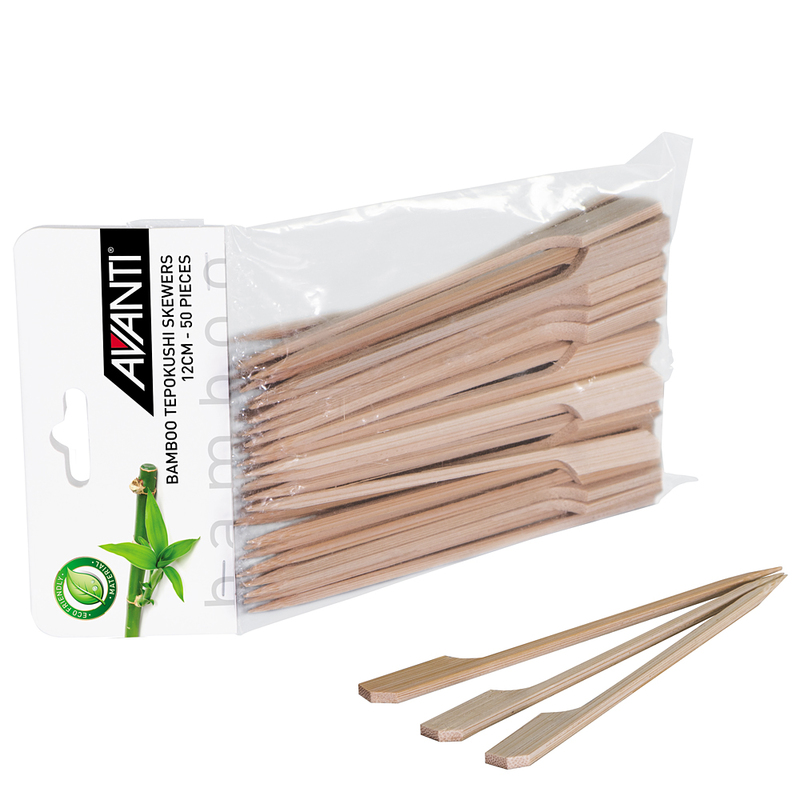 Thanks to the Avanti name you know they’re high quality and will turn your meal `prep’ into a pleasure. Put them on the compost, they biodegradable. Soak in water for 20 minutes prior to use. Ideal for adding an Asian flavour to your meal.